I've mentioned before I love crafting with felt....so I'm here to share another fun Christmas tutorial! You only need two materials: felt and embroidery floss! 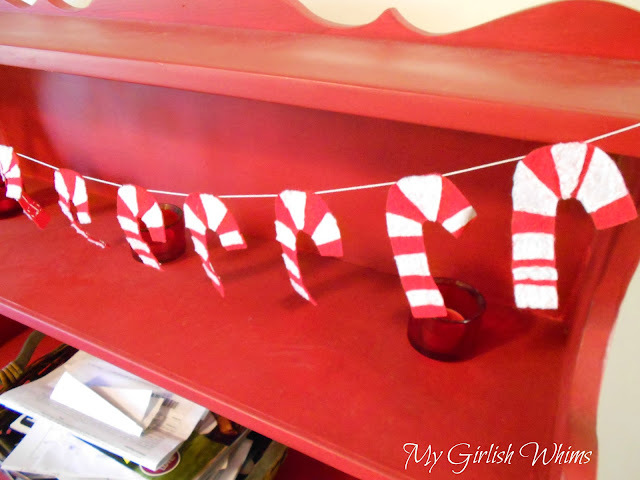 First thing you need to do is cut out a bunch of candy-cane shapes out of red and white felt. I used 10 of each color (not all pictured here) but you can vary it depending how long you want your banner. Be sure to make a template for yourself first so they all turn out the same size! 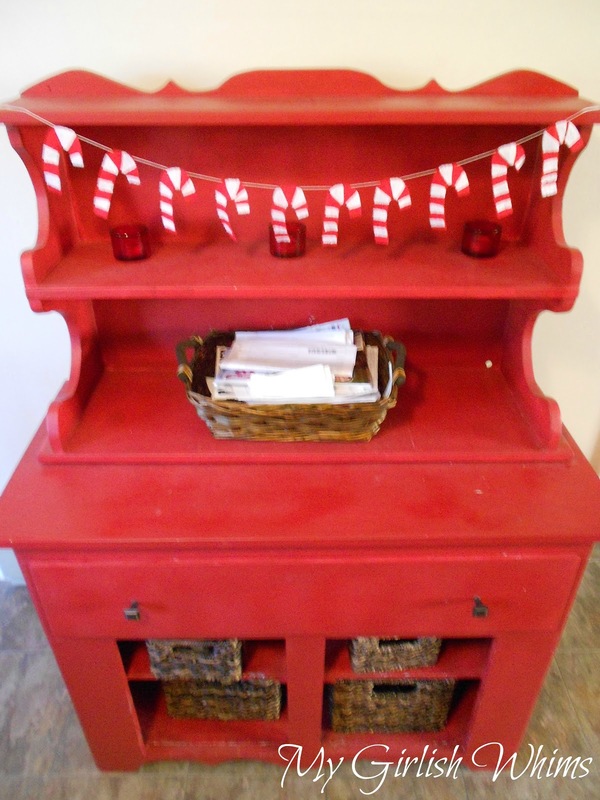 I decided to use a red base and cut up the white candy canes to use as the stripes. I would cut the whole white candy cane up into stripes and then lay the pieces on the red candy cane and only stitched on every other one (this helps with lining up the strips correctly for when you get to the curve.) I just used a basic stitch with thick embroidery floss to sew on the stripes. 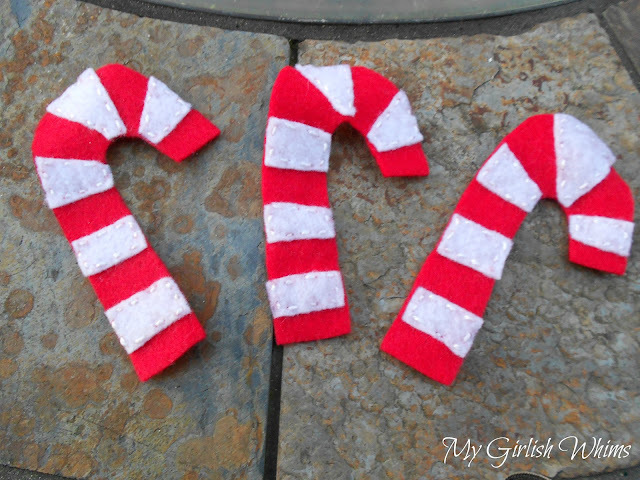 And here are three finished candy canes! This craft is a little time consuming, but it's pretty mindless. I started it back in November when I had the Christmas decorating bug but wouldn't let myself start yet haha :) It's good for in front of the TV! To complete the bunting, I just stitched across the back of each candy cane on a long piece of embroidery floss. 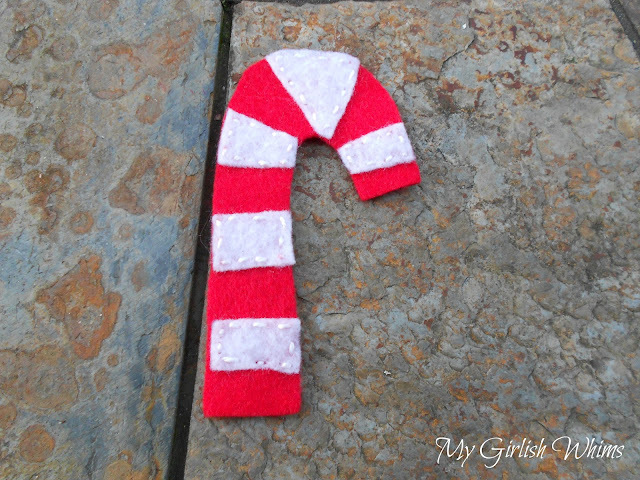 I did not go completely through the felt because I didn't want the stitch to show on the front of the candy cane. This would not be a good idea, however, if you will have little ones grabbing and pulling on this!! I put my garland on the kitchen hutch that made me cry which I STILL kind of hate but put so much work into I live with it. Hey. At least it's festive now. I think I'll just stick to cute little felt buntings, NO MORE FURNITURE REDOS!!! So cute! 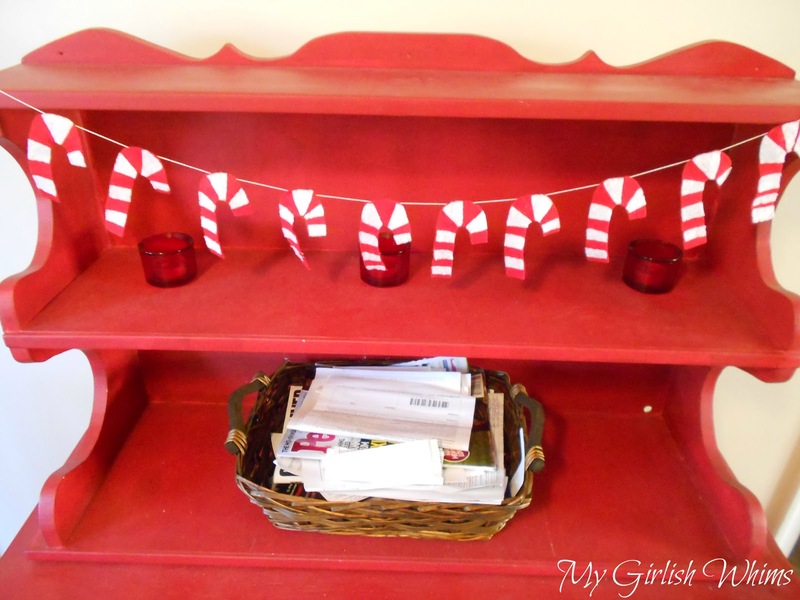 I love felt projects, and this garland turned out so festive!